Look at this phenomenal bracelet! 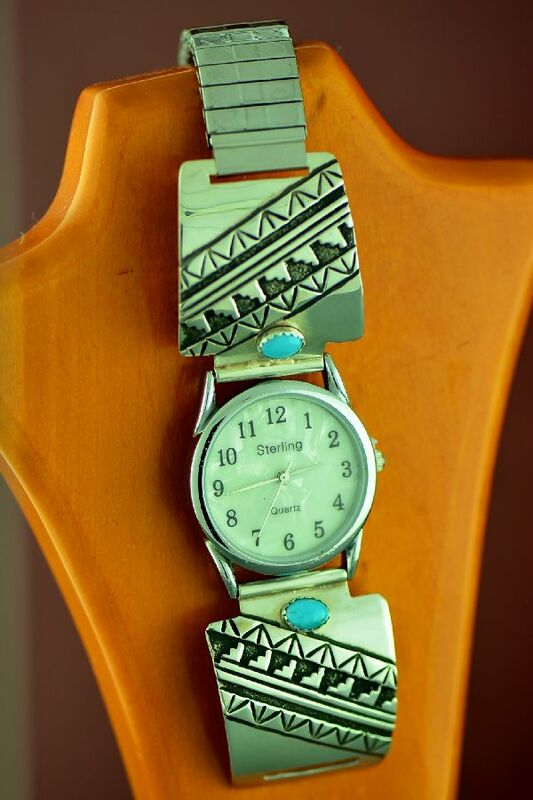 It is a sterling silver Sleeping Beauty Turquoise with Mountain Symbol bracelet handcrafted by Navajo artist Rosita Singer. 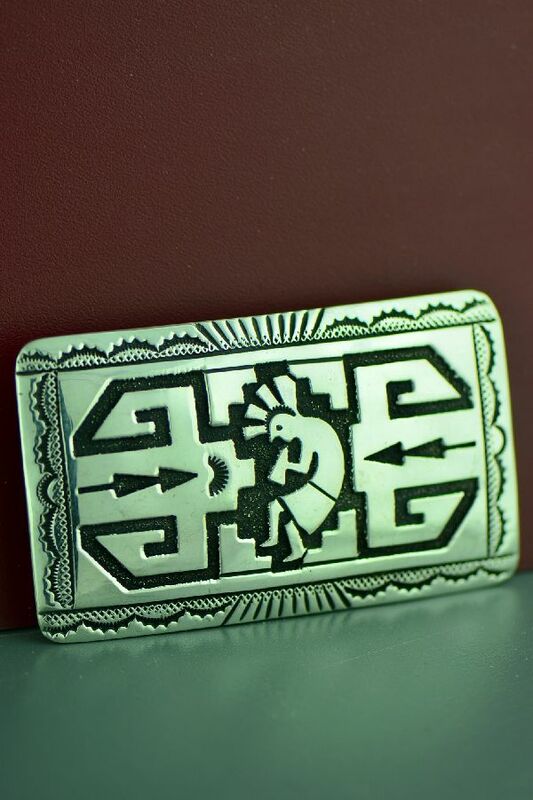 Rosita (Rose) was married for almost 40 years to world renowned silversmith Tommy Singer, Navajo. 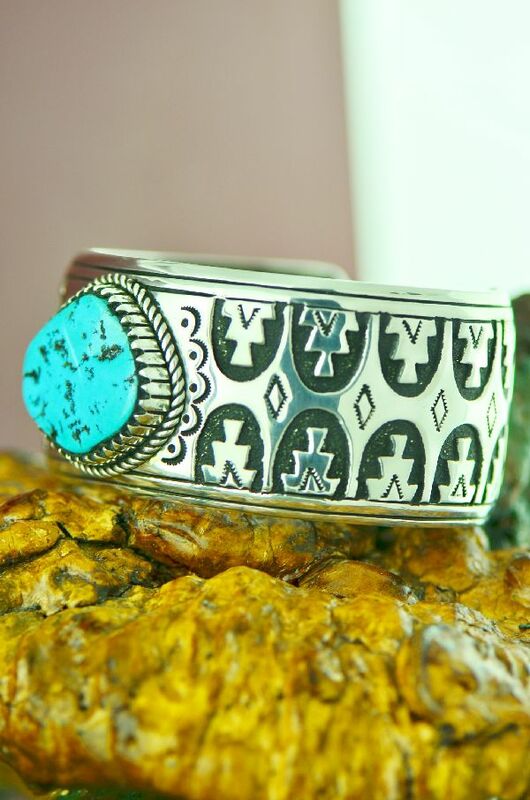 Tommy worked for years with his family creating beautiful jewelry in silver and gold. His work is coveted throughout the world by collectors. Since his passing in 2014, Tommy's wife, Rosita, has continued his legacy. The design of this bracelet is outstanding! 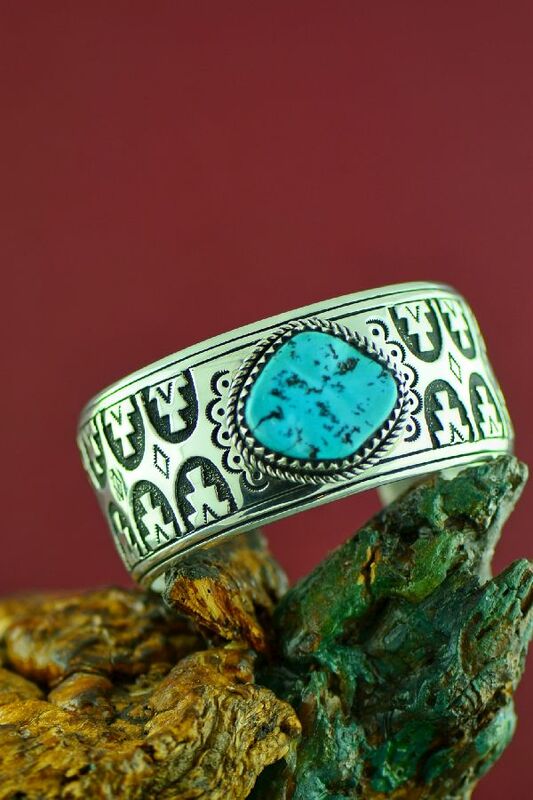 It depicts Sleeping Beauty Turquoise with Mountain Symbol symbols with hand stamp work. 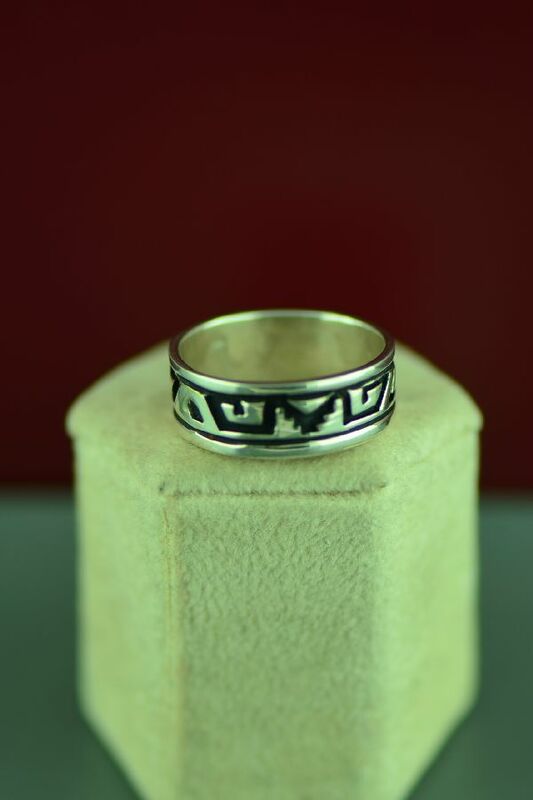 Rose has oxidized part of the sterling silver to give it a unique look. This bracelet is 1-1/2” wide and will fit a 9” wrist. It has a 1-3/8” opening. 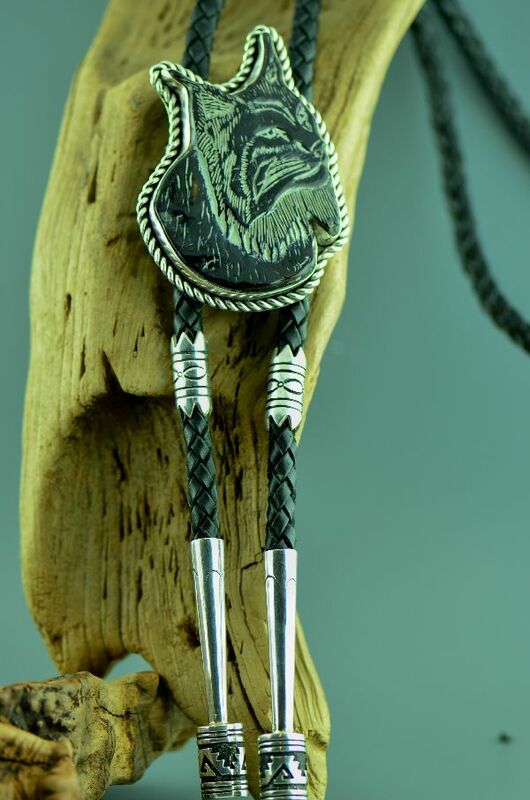 It is adjustable and can be adjusted to fit from an 8-3/4 to 9-1/4” wrist. We can adjust the bracelet prior to shipping if you note in the comment box during the checkout process what your wrist size is. 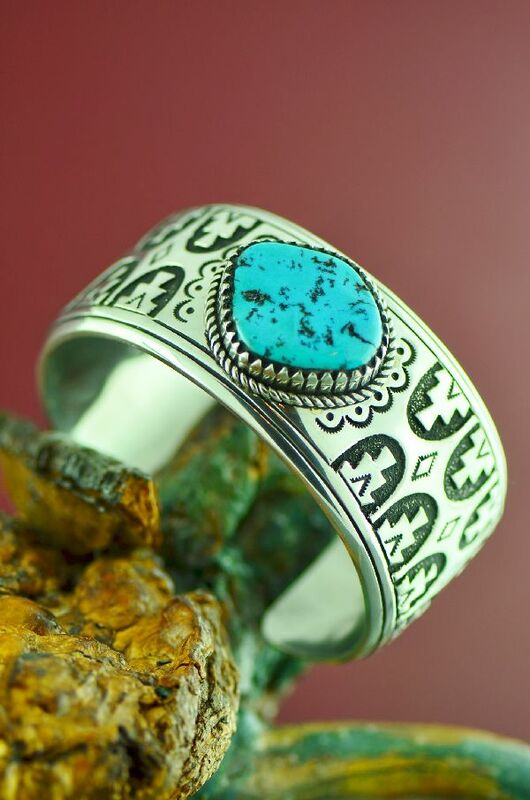 The Sleeping Beauty Turquoise stone measures 1-1/8” tall by 1-1/4” wide and set in a scalloped bezel. This bracelet weighs 3.7 ounces or 104.893 grams.